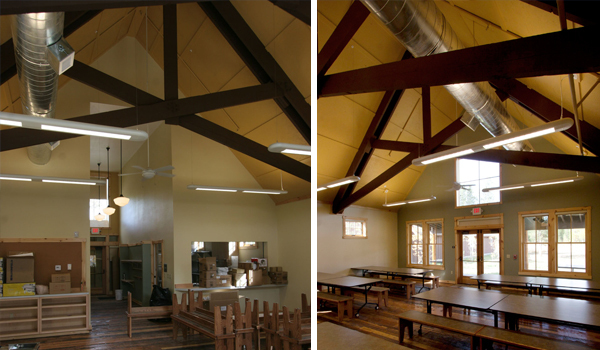 The two ranch Dude Barns, constructed before 1917, become a new Dining Facility and Meeting Hall. These buildings were in a dilapidated condition and in need of major structural repair. They were completely disassembled with all logs, flooring, and roofing material collected, numerically inventoried, and stored. New foundations and insulated interior walls were constructed. The new roof is now supported with new heavy timber open web trusses. 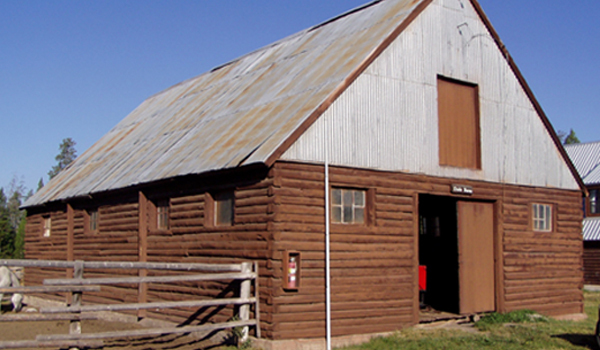 The original log walls which were cataloged and diagrammed were refitted to the outside of the new framing in the same configuration as the historic barns. 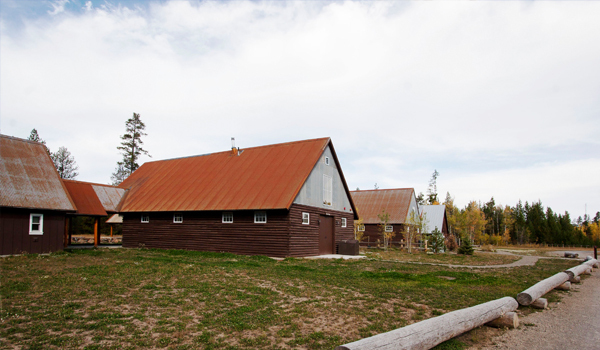 The original floors were re-milled and re-used throughout these new buildings and the Bunkhouse. From the front and sides these buildings exactly represent the historic barns much as they existed over the last 90 plus years. 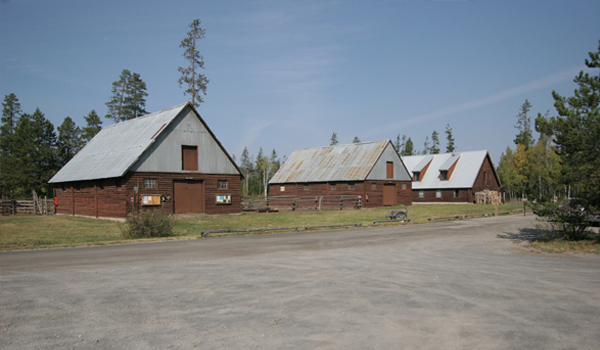 The middle Dude Barn became the new Dining Facility with full commercial kitchen and open dining hall which services large groups staying at the park. 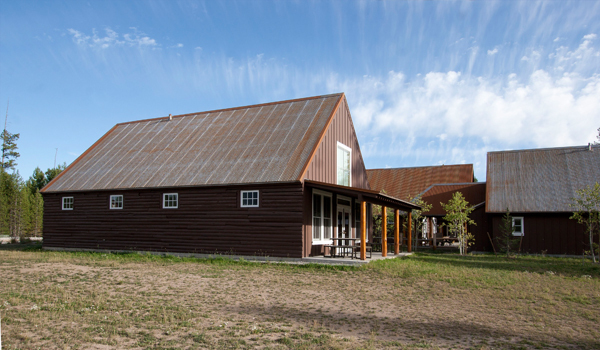 The south Dude Barn became the meeting hall for the new Scovel Retreat facility. An additional ten new private guest quarters were constructed and attached by an open arcade to the Meeting Hall building. These new guest quarters surround an open courtyard area with a large fire pit for night time sing-along, story telling and views out to a wetland meadow.